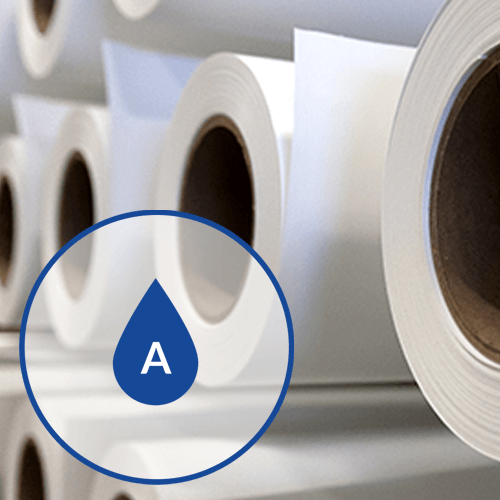 Validation® 250 Satin Commercial is a 250 gram premium satin proofing media featuring a white point and gamut capacity specifically engineered to meet the requirements of high-end commercial proofing as defined by GRACoL 7 (GRACoL® Certified). 98 foot roll lengths available in widths of 13″, 17″, 24″, 36″, 42″, 44″, 60″ and supplied on 3″ cores. FREE ground shipping from our Grand Rapids, MI distribution facility! Validation® 250 Satin Commercial is a 250 gram premium satin proofing media featuring a white point and gamut capacity specifically engineered to meet the requirements of high-end commercial proofing as defined by GRACoL 7 (GRACoL® Certified). Validation® 250 Satin offers an excellent black point, minimal brighteners, and a unique smooth surface sure to please your most discerning clients. This media is compatible with other Validation® 250 grades offering simple media changes utilizing a shared calibration and profile. 98 foot roll lengths available in widths of 13″, 17″, 24″, 36″, 42″, 44″, 60″ and supplied on 3″ cores. Sample rolls available.